Nicole Lundrigen is at her disturbing best here! It’s the kind of read where my eyes wouldn’t leave the page and I just reached blindly beside me for food and drink to sustain while I pressed on. 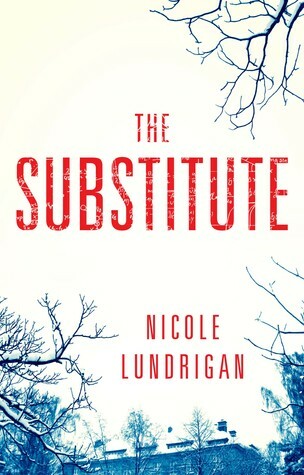 Thank you very much to Nicole Lundrigen and her publisher House of Anansi (Spiderline) for sending me a copy of The Substitute. The description of what you will find in The Substitute: Warren Botts is a disillusioned Ph.D., taking a break from his lab to teach middle-school science. Gentle, soft-spoken, and lonely, he innocently befriends Amanda, one of his students. But one morning, Amanda is found dead in his backyard, and Warren, shocked, flees the scene. Before we get into discussing the delightful creep factor and the disturbing twists (which are oh so good), I kept wondering “How did she write this – how did she keep all those pieces up in the air until the end?” I’m marveling about the writing process – how did it all come together? Were there sticky notes and white boards all over the place? I was kept guessing until the end, and my thoughts on the identity of the unknown narrator changed over reading, and I still think I got it wrong until we got almost to the very end! I also wondered about the place – where is this? Midwest? Southern California? In the US? In Canada? Or time – what year – feels like before cell phones – like 80s-ish? There isn’t a mention or a sense given. And that could all be part of it right? The author is wanting to keep us in the dark, unsettled and continually guessing. 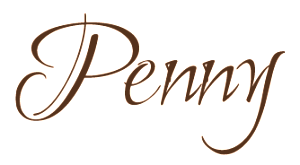 I had to figure a twist would be on the identity of the anonymous narrator – this very disturbed, hurting and deeply wounded kid – thought I had it figured out who it might be. It shifted a few times. The gender was carefully concealed and I thought I had that part figured out – noticing the care taken to not give away any gender clues. My guess there was correct, but it wasn’t the person I thought at all! You’re left wondering what the connection to Warren Botts is too and is he as clueless as he comes across? Or is he more involved in Amanda’s death? So many questions and twists! 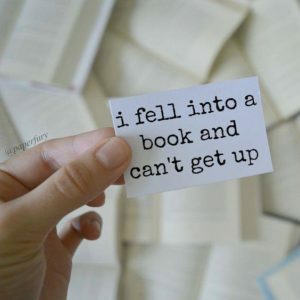 Like I said at the top, I really did fall into this book and couldn’t get up until I was finished. 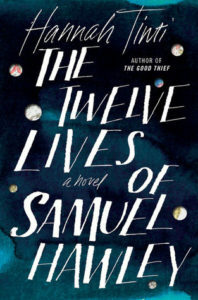 Over the month of May, the Riffle Book Club read, The Twelve Lives of Samuel Hawley. After reading The Substitute, I was struck by some of the similarities between the unknown narrator in The Substitute and the character of Loo (Louise) Hawley in The Twelve Lives of Samuel Hawley. They are two very different stories mind you, but their coming of age with their unconventional upbringing and both are characters with vengeful behaviour that is swift and severe against their bullies/enemies! Our unknown narrator has some pretty deeply disturbing issues, as does Loo. At one point, to fight back against her bullies, Loo fills a sock with rocks to use against them! Whew! So, if you want to read two very compelling and engrossing stories containing characters coming of age in unconventional and surprising ways – these two are highly recommended! Yes, again, Nicole Lundrigen is at her best here and I’m once again anxiously awaiting a new one from her! Hopefully it’s soon – but I understand if she’s still recovering from writing this clever and disturbing book! Cannot find The Substitute on any site nor Nicole Lundrigan. Has this been published yet? Oh sorry about that – I didn’t include that in the above. I won an advanced reading copy off of the author’s website. The book isn’t published (according to Goodreads) until June 24th, 2017. Oh! BIP! Read Glass Boys! Read The Substitute! So good! She’s a Canadian author flying under the radar but she shouldn’t be! The psychopath in The Substitute is an interestingly disturbed one – I have my copy of it out to some of my book club peeps – if I had it I would have sent it over! But I’m sure you would be able to track down Glass Boys. I highly recommend! June 24th…thanks. will put it on calendar. Just finished this book, and I loved it! I was completely caught off guard at the end. I could not put it down! Walking and reading, driving and reading at red lights, cooking and reading… it was dangerously addicting! I’m going to read it again because I need to see all the clues I missed.